If you are looking for an IoT consultant in the Philadelphia, PA area to help you build intelligence into your supply chain logistics, look no further than Domain Consulting Group. We help clients leverage the IoT to develop and execute digital initiatives for smart connected products, operations, manufacturing and service. Domain Consulting Group, an experienced SAP partner based in Wyomissing and Philadelphia, delivers state-of-the-art cloud and on-premise solutions that are affordable for businesses looking to leverage ERP technology to significantly improve efficiency and productivity. Preventing damage to products in transit, as well as reliable shipping and receiving, are vital to any profitable manufacturing or distribution company, and SAP Business One coordinates all resources and systems within your enterprise so that every business function relies on a single database. IoT technologies today can be employed to track your shipments, detect and measure conditions that affect the integrity of your products, instantly alerting you before they exceed a desired set point, and optimize delivery and shipping routes. Domain Consulting Group combines extensive experience in strategy, process improvement, digital technologies and organizational effectiveness with expertise in IoT deployments. We work with SAP to deliver best-in-class IoT and ERP solutions for your business that will help you achieve greater efficiency. Regardless of your existing processes, technical maturity or business objectives, we will collaborate with you to facilitate, guide and support you through all of phases of the digital implementation process to accelerate the value of your investment. When damage occurs to in-transit products, failure to find the source can result in millions of dollars in lost profits, a slower time to market, and dissatisfied customers. It can be difficult to tell when and where the damage occurred because products often move through multiple distribution paths. Meanwhile, dozens (or thousands) of products may have been damaged or lost. SenseIT IoT by Domain helps businesses solve this complex and costly problem by improving how they track their assets across the globe. 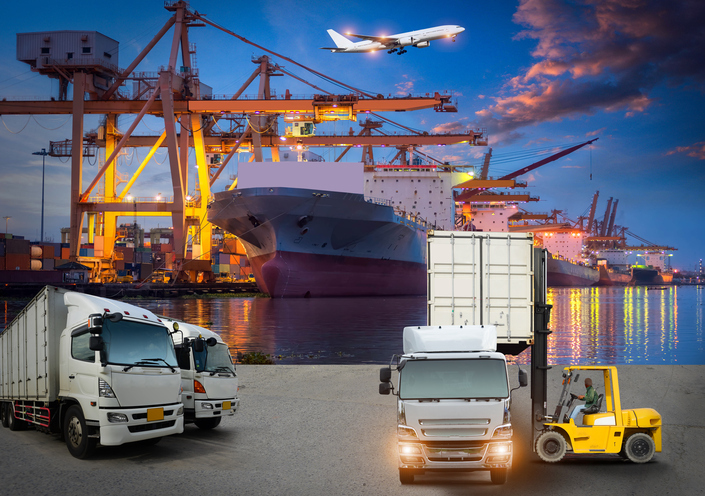 The advanced IoT asset tracking system utilizes innovative sensors to track shipments from end-to-end, capturing data from around the world and enabling businesses to quickly locate items wherever they are in the supply chain and instantly alerting them to condition changes. The system monitors the condition of trailers, containers and their contents based on parameters such as temperature, moisture, acceleration, tilt, shock, tampering, and other variables. Data is standardized, consolidated and maintained in a SAP HANA database in the cloud, and pushed to ERP to instantly generate interactive reports for faster decision-making. Your global shipment tracking and monitoring can now be more accurate and reliable than ever before, giving you the visibility you need with alerts, reporting and analysis on your inbound and outbound shipments. Every business that deals with shipping and logistics will benefit from the ability to detect and even prevent damage before their products reach customers. Domain Consulting Group will work with your team to define the appropriate level of integration for your individual business. If your company is not on an SAP platform, SenseIT IoT can often be integrated with other ERP platforms, such as NetSuite. When you need an IoT consultant in the Philadelphia, PA area, Domain Consulting Group can introduce your business to innovative IoT solutions for your supply chain operations, including processes and applications you never thought possible. Contact us at (610) 374-7644 ext. 7005 for a free consultation.